The JRC in conjunction with partners has developed a methodology based on the Intergovermental Panel on Climate Changes (IPCC) guidelines for calculating emissions from deforestation and forest degradation. 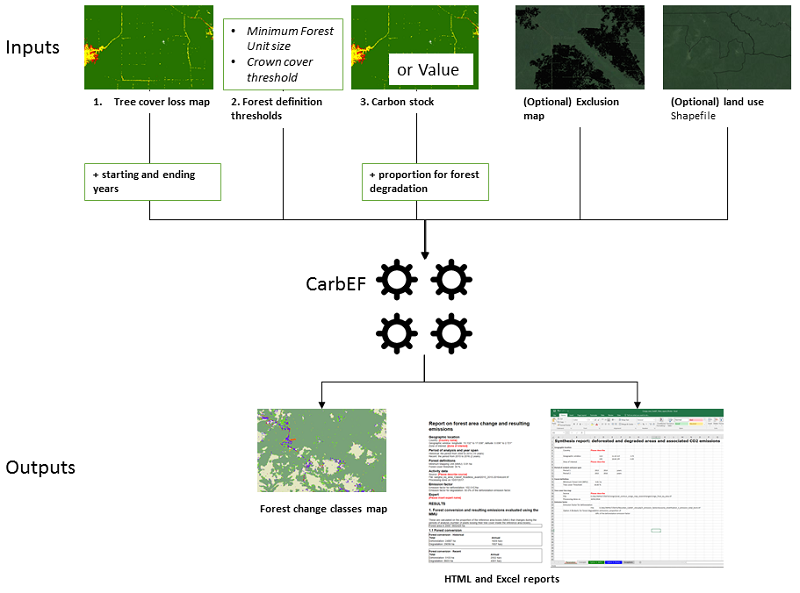 The methodology is implemented in the CarbEF module of the IMPACT toolbox software which uses forest change maps with along with emissions factors to produce emissions estimates both in a report and in EXCEL tables. A technical manual is available along with a presentation of the tool and test data sets. excluding of areas from the total emissions estimates (e.g. areas where forest changes may be superficial such as ground fires that do not affect the trees). 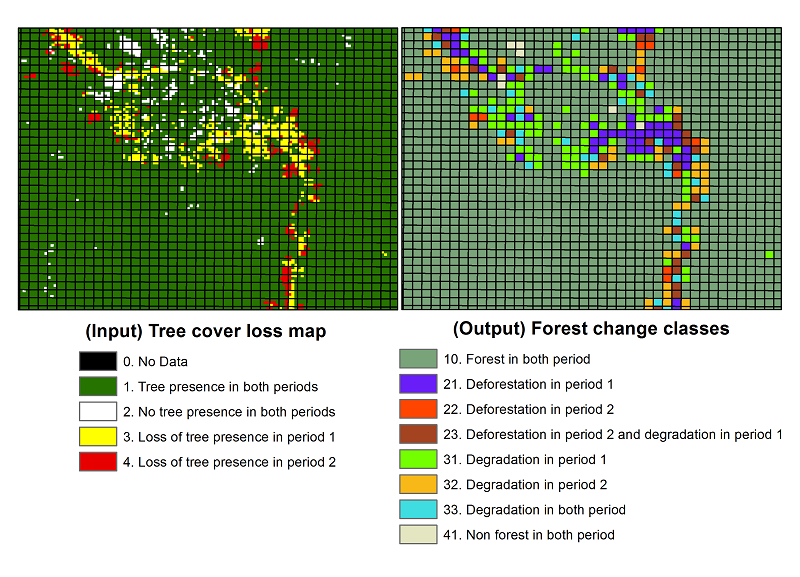 The software uses a fixed unit of analysis a Forest Mapping Unit, set by the user, so as to differentiate between units where the tree cover has fallen below the minimum threshold (deforestation) and units where the forest cover has been reduced, but still remains about the threshold (degradation). The report gives the total and annual changes in forest area, separated into deforestation and degradation, along with the associated emissions in teqCO2. One or two periods can be used – e.g. a reference period and a current period. Users are encouraged to give their feedback and suggest new optons.